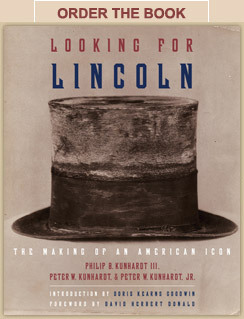 Historian Henry Louis Gates Jr.'s quest to piece together Abraham Lincoln’s complex life takes him from Illinois to Gettysburg to Washington, D.C., and face-to-face with people who live with Lincoln every day – relic hunters, re-enactors, and others for whom the study of Lincoln is a passion. Watch an extended interview with a Lincoln presenter about what he has in common with Abraham Lincoln, and why he portrays the president. Watch selected interviews with a gathering of Abraham Lincoln and Mary Todd Lincoln presenters at the site of the last Lincoln-Douglas debate in Alton, Illinois. Watch an extended interview with a Lincoln presenter and ordained minister on Lincoln's spiritual background, and why Lincoln is his hero. Watch an extended interview with Lincoln presenter Dennis Boggs about the reasons why he models himself after the president. In this video, composer Eric Sawyer talks about his vision of Lincoln's life in his opera, "Our American Cousin." In this video, meet the cast of characters behind the Pike County Historical Society's annual Lincoln Weekend in Milford, Pennsylvania. In this video, archaeologist and historian Robert Mazrim takes us on a tour of Lincoln historical sites in central Illinois, including the Lincoln Memorial Highway and the grave of Ann Rutledge. In this exclusive video, Elliot Schwartz of StudioEIS in Brooklyn, New York takes us behind the scenes of the creation of statues Abraham Lincoln. In this web exclusive video, Bob Rogers talks with Henry Louis Gates Jr. about his designs of the exhibits in the Abraham Lincoln Presidential Museum.